Live stream other Spotify users' currently playing music. Developer website: Parallel Tracks, Inc.
Is there a better alternative to Parallel? Is Parallel really the best app in Music category? Will Parallel work good on macOS 10.13.4? 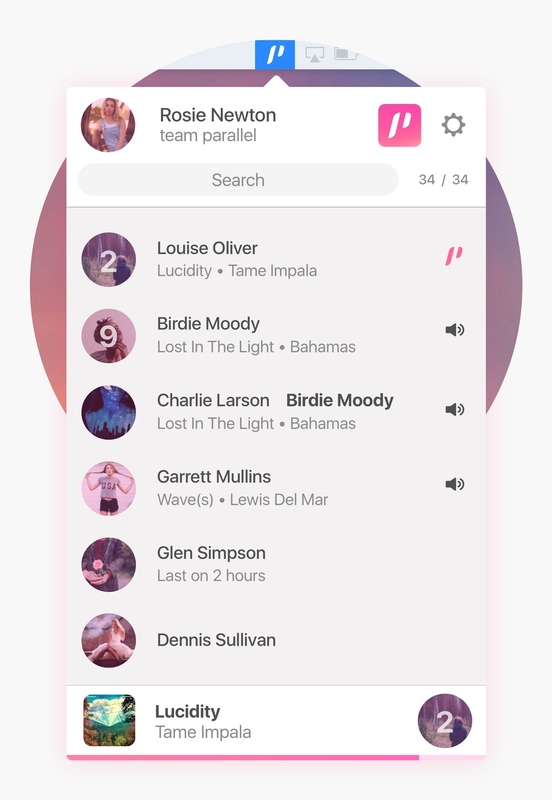 Parallel lets you share the music to which you're listening on Spotify with the friends and co-workers around you. Parallel needs a rating. Be the first to rate this app and get the discussion started!